Trey Gray, celebrity, talented drummer who has played with many famous musicians like Faith Hill, Reba McEntire and Brooks & Dunn is also a Huntington’s disease advocate. He tested positive in 2003. In 2017, Trey was kind enough to write a book jacket comment that appears on the back cover of my book, Watching Their Dance. His comment: “Tears, laughter, blessings, and hope…….an amazing story that will touch, and help, I pray, everyone who reads it”. What is HD? Trey is engaged to Jess Lucille who is also a musician in the StarHeart band. They have a son, who is cute as a button. The picture above includes: Chris Chapman, Joe Bishop, Paul Erdman and Trey Gray. 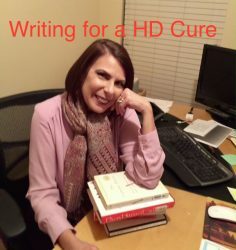 100% of the proceeds from the book is being donated to the nonprofit, Huntington’s Disease Society of America (HDSA). Available on amazon.com and many other book websites.